Based on reviews from 4,960 users. Learn how our rankings work or see our guide to Nike SB sneakers. Updated Apr 2019. In the sneaker industry, various brands stood out and rocked the world for many generations. And one brand had the biggest influence on popular culture for over 30 years, and that is Nike. Since the 1980’s, this legendary urban brand has made a great impact not only on the industry but the lifestyle and culture of different walks of life. Way back in 1997, Nike started producing its very own line of skateboard shoes. It was also during this time that skating was easily associated with the punk culture among the younger generation. Unfortunately, the market was already full of companies that were ahead of the game, such as DC, Globe Emerica, and Vans. So technically, Nike received less support. But in 2002, the brand wanted to try once again to make their line known to the world. They launched Nike SB (which stands for skateboarding) and crafted their first Nike skate model, the Nike SB Dunk Low which had features comparable to popular brands. The Zoom Air insoles make the sneakers unique from the rest. Four models followed through such as the Nike SB Angus, Nike SB FC, Nike SB Delta Force and Nike SB URL. To further push their dreams on the skateboarding industry, they appointed Paul Rodriguez to help add more fame to the brand. Nike was also able to get Lewis Marnell as the only Australian team rider for the said period. In 2005, the company gave Paul Rodriguez his model shoe, the Nike SB P-Rod. During this period, sales increased when this shoe was sold. This became the turning point as the brand decided to release the Nike Blazer SB. These Nike SB sneakers were an enhanced version of the Nike Blazer basketball shoe during the 70s. The brand was able to reach out to non-skaters with their release of the Nike SB Tiffany Dunks and Nike SB “What The Dunk” Dunks. In 2007, Nike SB released the first video “Nothing But The Truth” which was directed by Lionel Goldstein. It featured the Nike SB Team with some of the Flow riders. During 2009, rider Stefan Janoski was given by Nike a shoe model named Zoom Stefan Janoski SB, as well as Eric Koston who just left Lakai Limited Footwear earlier that year. The video “Debacle” was released during the latter part of 2009 which featured the Nike SB amateur team. In 2010, Omar Salazar signed up for Nike SB. 2 years after, Nike SB collaborated with Levi’s and in July of the same year, they launched Rodriguez’s 6th signature shoe. In March 2013, the Eric Koston 2 was released. The year after, Amrani became a professional and joined the Nike SB team. Outsole: Skate shoes differ a lot in construction and design because of how it is used mostly for board sports. Since it needs a strong outsole, this type of sneaker has a polyurethane or vulcanized sole with minimal or void of a tread pattern. Upper: The upper is usually made of canvas, leather or suede for better support. The shoe has a rigid lifestyle, so it usually has a double or triple stitching design to extend the life of the material. For comfort, most Nike SB shoes feature a padded tongue. Lace Reinforcement: In some Nike SB sneakers, shoelace protectors are constructed as laces may easily wear and tear after a couple of skate sessions. Nike SB Dunks also have Kevlar-reinforced laces which are stronger than ordinary laces. Insole: To absorb impact on hard landings on that ramp, skate shoes have shock-absorbing insoles. There are also some models which have air pockets in heels to ensure a soft landing during those kick-flips. Midsole: In Nike SB shoes, most have a full-length EVA midsole which provides comfort to the feet while skating or walking. This foam is contoured in the heel plus arch and provides support and integrity to the footbed. The Lunarlon technology is also integrated into Nike SB sneakers. The technology uses special foams with different densities that makes the shoe lightweight. It also gives that soft and springy feel while skating. A lightweight foam core may also be found in various Nike SB shoes which features a soft inside that spreads the impact forces equally over the entire area. Another feature is a firmer foam carrier which holds the softer core in place, so it easily springs back up. Story behind: When it was launched, there were only 500 pairs out in the market and was sold by Supreme, a skateboard store in New York City and Tokyo. The sneaker featured a black leather upper wrapped in elephant print (black/black cement grey colorway). It featured a bright inner red lining and was regarded as one of the most sought after Nike SB sneakers at that time. Story behind: Reese Forbes collaborated with Nike for the second time around. This time, the brand released a sneaker made of light and dark denim with a stunning white midsole and red outsole. To add more flavor, pieces of denim were unraveled near the stitching. These amazing Nike SB sneakers looked like trophies under skatewear or any casual outfit. Story behind: This Nike SB sneaker was designed by Nicky Diamonds of Diamond Supply Company. A part of the “Team Manager Series,”it was one of the most loved shoes of all time. It borrowed some of the colors of Tiffany & Co. The shoe featured an attractive aqua blue leather which is very soft plus a black, alligator-like material on the upper. A chrome Nike swoosh then adds on to that elegant finish. Story behind: With three colorways available, the quilted leather blazer is a perfect example of a skate shoe that was previously basketball-inspired. Many attest that it looks like it came out of a Louis Vuitton store. Since these Nike SB shoes were limited, a lot were not able to purchase one. Ten years after, resellers sold them at an expensive cost starting at $1200. Story behind: After the initial release of the Nike SB Dunks, a model named after Danny Supa, a professional skateboarder easily became one of the hottest pairs in the market. It sported a white, blue and orange design which represented the skater’s baseball team, the New York Mets. These Nike SB sneakers hogged the limelight on or off the streets. Story behind: One of the few printed Nike SB shoes, this featured stencil-style graphics that had brown and black colors with matte and glossy textures. A gum outsole resembles that of the Chocolates. There were around 400 pairs released, so it was a challenge to score one back then. Today, it is near impossible to get your hands on a couple. Story behind: One of the most unforgettable dates in sneaker history is February 22, 2005. It was the official launching of the Nike SB Dunk Low NYC Pigeon. There were only 202 pairs released, and 30 were sold at Staple. Those who purchased a pair had to be escorted through the back door to avoid violence from other people. The shoe had a fresh design with medium grey/ white-dark grey as its colors. It also features an orange outsole with a stitched in pigeon on the heel part. No wonder every sneakerhead wanted a pair of these Nike SB sneakers when it came out. Story behind: With only up to 200 pairs produced on its release date, the lucky ones were able to get ahold of a pair. These pretty Nike SB shoes were made for the “White Dunk” art exhibition. The artwork of French painter Bernard Buffet is featured on the canvas and suede uppers. These shoes were sold in Paris specifically in Colette and Opium stores. The great thing about this specific model is that not two sneakers are the same. Nike cut the canvas differently making several designs for the entire line. Since these sneakers were unique, a pair cost around $100 to $10,000 and above. Story behind: Supreme sure does have a magic touch when it comes to selling shoes in their stores. When the Nike SB Dunk High was out, it sold like pancakes. And it is because of the epic design of these unique Nike SB sneakers. Premium red leather uppers hogged the limelight combined with white wool. There is a subtle Nike branding on the tongue and a beautiful star pattern on the sides. Though it is also available in orange and baby blue colorways, this red model is the real winner. In addition, the shoe has a Lunarlon insole for additional comfort. Story behind: If one is adventurous and wants a sneaker that looks just like in the 1960s, the Nike SB Dunk High “Tie-Dye” is an excellent choice. It has a hippie vibe that actually represents The City back then. This sneaker has a tie-dye canvas upper possessing a faded appearance. The gum outsole holds the striking white midsole and the entire shoe. The Swoosh logo is found on the lateral part of the sneaker, and a flash of colors are seen on the tongue tag. It is regarded as one of the highly successful skate crossover sneakers. Story behind: One of the most controversial shoes in sneaker history, these particular Nike SB sneakers was never officially endorsed by Heineken, the famous beer manufacturer. It was disconcerting that Nike did not inform them of such release that’s why they issued a cease and desist order to Nike to stop production and pull out the listing on eBay. The shoe featured the primary colors and logo of the brand and was said to be inspired by Heineken. There is an estimate of fewer than 2000 pairs released all over the world and is loved by sneakerheads for its stylish appearance. It has the green, white, red and black colors, hence Heineken’s total look. The sneaker features high-quality leather and suede uppers with an EVA foam plus the rubber outsole. Story behind: If some of the most famous Nike SB shoes featured unique, colorful and bold designs, the Nike SB Dunk Low “Tokyo” is an exception. It is described as a true blank canvas, no Nike logos on the tongue or heel. It is covered in Pure Platinum and a clean gum sole that peeks from beneath. These dunks are the official shoes of the 2004 Tokyo White Dunk Exhibit limited edition and were released through a lottery. This was done to avoid outrageously long lines and camp-outs. There were 10,000 tickets sold and only 202 pairs released. These Japan-inspired skate shoes are close to impossible to find at present. Story behind: If the original P-Rod’s rocked the world during the launch, its Jordan-ized edition is regarded as the most well-built skateboard sneaker to date. Even if Paul Rodriguez signed up for Nike SB in 2004, the J-Rod’s were only released the year after. Tinker Hatfield designed this particular version with an abundant elephant print on the upper combined with some grey colorway. A Jumpman can also be seen on the shoe, and it also features the Zoom Air. Story behind: The brand did not forget to include the state flag of California in their Nike SB sneakers designs. The Nike SB Dunk Low Cali looks exactly like the flag minus the bear. It has major colors: green, brown, red and white. Brown represents the bear while green is for the grass. The red outsole is for the red stripe at the bottom of the flag. There is also a small red star found near the uppermost shoelace eyelets. It is rumored to have only released 444 limited pairs on July 4, 2004. Story behind: Shoe releases in the US usually result in violence among sneaker fans. But in London, even though the queues were substantial, it was reduced to a minimum. But the resales were wild. The Nike SB Dunk Low “London” was supposed to be launched at the London’s White Dunk exhibition, but the event was canceled. 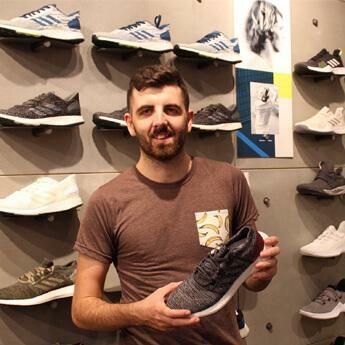 So with only 202 rumored pairs released, it was sold at Foot Patrol, London’s famous boutique. These Nike SB shoes had contrasting gray suede uppers, and the heel has a unique embroidery of the 200 miles long River Thames. As they say, it is intertwined with England’s Liquid History. Today, it is close to impossible to grab a pair. Story behind: One of the talented graffiti artists in NYC, Futura collaborated with Nike to create a one of a kind sneaker. It was during the Nike SB silver-box era that he made his concept into a reality. The colors that he used were pretty much close to the hometown Yankees. He used a nightshade blue tumbled leather for the toe and heel parts. The side panels have a black mesh with some shark grey suede material. A smooth leather white Swoosh can be seen on the sides and a grey midsole. White laces top it off giving it an epic look. One thing that sneaker fans love about this shoe is that the color combinations are indeed simple but has officially made it legendary. Story behind: These Nike SB sneakers practically upholds its classic silhouette ever since this sub-brand was established. The Nike SB Dunk Low “Chocolate” was created to pay homage to the late Keenan Milton, a skateboarder who passed away in 2001. Nike teamed up with the top designers at Chocolate Skateboards and released only 300 pairs up for grabs. This was a companion piece to the Zoo Yorks and colors were picked by Richard Mulder, while the cross logo was done by the late Margaret Kilgallen. Story behind: A famous Japanese toy company, Medicom collaborated with Nike to produce a cool and rare shoe. Pairs were limited in the sense that one has to be a member of Medicom to have a chance to get a pair and this is exclusively in Japan. The sneaker sports pretty blue on white colorway with a double-layered leather Swoosh. It also has a bright orange bottom later. The heel features the signature BabekubBearbrick logo stitched in grey. In July 2004, it was released for charity, and there might be a chance for these dunks to be in stores soon. Story behind: Nike had a fictional ABA team and Methamphibian, a famous shoe customizer, got inspired by it and designed these really cool Nike SB sneakers. This was a tribute to Roswell Rayguns, a semi-professional basketball team all made-up by Nike. It features the team’s colors such as yellow and orange. The heel panels have the Raygun logo embroidered on. It has a white outsole and black midsole which tells sneaker fans that it is a home sneaker. This black version was out only in the US and Canada. Also, this is one of the very few Nike SB sneakers which were also released with grade school and toddler sizes. Story behind: If a black and gold combo works for you, then these Nike SB sneakers with suede and leather uppers are perfect. Named after Takashi Hosokawa, the shoe’s colors were picked by this Japanese. In 2003, black and gold were a hit plus the sleek white midsole. Not just for skateboarding sessions, this pair is a great all-around shoe and could easily be matched with any casual outfit. The following Takashi dunks were incorporated with silver accents, and the succeeding versions had laser detailing. Still, nothing beats the originals. How did Nike SB come into being if it already manufactured and sold sports apparel? Since Nike already established itself as a footwear brand, it also wanted to venture specifically into boardsports. Way back in 1997, it produced skateboarding shoes alongside with the major names in the industry. It was only in 2002 though that the company created the SB Dunk Low which is comparable to other brands. Nike then brought in professional skateboarders and made them famous in the industry. How does the Lunarlon technology work in skateboard shoes? The Lunarlon midsole cushioning system, usually found in Nike SB sneakers, consists of two parts that work in together to give a light and responsive feel. Since not all ramps and streets are created the same, this cushioning helps the feet upon landing. 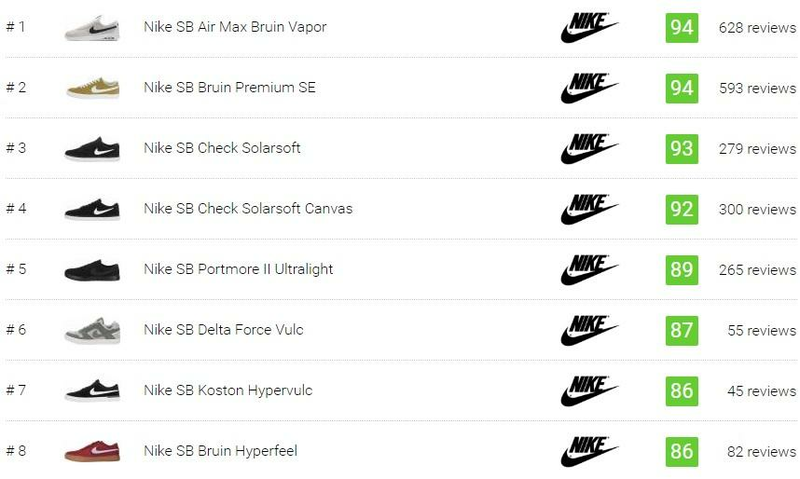 What does SB in “Nike SB” mean? It means Skateboarding. It is a sub-brand of Nike that offers boardsports apparel, news, teams, and footwear. Are Nike SB sneakers unisex? Yes, the models are available for men and women. How to prolong the lifespan of Nike skateboarding shoes? Apply super glue only on the stitches and high-contact areas on your shoes. This provides protection on the rigid wear and tear during skate sessions. Add a thin layer of shoe-goo across the laces to keep them in place and safe from breaks or cuts. Rub on some ice cubes to smoothen it out. A downside of doing this is losing the ability to loosen or tighten the shoelaces. How much do Nike SB sneakers cost? These sneakers cost from as low as $55 to $130. Though there are limited and special editions that cost a fortune such as the Nike SB Dunk Low “Paris at around $10,000 per pair. Are there Nike SB casual sneakers specially made for women? Yes. On October 5, 2017, Nike SB released the model, Bruin High which was created for women who skate. It has a sculpted fit with a tri-star pattern on the footbed and has increased flexibility. Where to find Nike SB Dunk Low Heineken at present? Today, there are a few resellers who have these models. But the ones available are not suitable for wearing due to age. These dunks must be purchased with caution.